Are you looking to add the style and comfort of carpet to your residential or commercial setting? Nobody does carpet better than the experts at Buddy Allen Carpet One Floor & Home in Nashville, TN. We offer a quality selection of carpets, and we also provide design and installation services. Our flooring professionals know carpet well, and they can help you find the right carpet type and style for your home. Choosing the right carpet for your home doesn’t have to be stressful. Our flooring experts can help narrow down our selection to make the process easier for you. We have carpets that are perfect for families with an active household, and we have carpets with stain fighting qualities for families who have pets in their home. Carpet is still a popular flooring option today because of its unmatched comfort and wide range of styles. There are a variety of carpet options available, but fortunately we can help you make the perfect choice for your setting. In most residential settings, berber carpet is popular because it does well to combine style and performance. If you need extra durability, be sure to check out frieze carpet, but if you want premium softness and luxury, shag carpet is a great option. In commercial settings, performance is more important, so commercial carpet tends to be harder and stronger underfoot than residential carpet. Commercial carpet can handle foot traffic and other impacts, and it also resists most stains. Carpet tiles are popular in commercial settings because they are easy to clean and repair. If you need carpet for a small area (such as a closet or hallway) be sure to ask us about carpet remnants. Carpet remnants are small pieces of quality carpets that can be purchased and installed in the same day. Carpet has become a durable flooring solution for many homes because of its stain and wear resistant qualities. Carpet is ideal for spaces like bedrooms, living rooms, and children’s play rooms because it is soft, stylish and easy to care for. With durable carpet options that are resistant to wear and fading, you can install them in hallways and on staircases, and even in basements. Places to avoid installing carpet include rooms with a lot of moisture such as bathrooms and kitchens. Most carpets absorb moisture which creates an ideal environment for harmful allergens. Even with waterproof carpet options, always avoid these areas if at all possible. We are a member of the Carpet One Floor & Home cooperative. That means we are your locally owned retailer who has the ability to compete with big box stores and supply name brand and exclusive brand carpet flooring for you and your home. As part of our carpet selection, we offer Carpet One Floor & Home exclusives such as Lees®, Tigress®, and Bigelow™ STAINMASTERÒ. All of these carpet options are stylish, comfortable, and durable. In addition, we have a team of talented designers that will help you choose the perfect carpet for your setting. Our designers will make sure that your carpet will suit your every need. And, once you make your choice, we’ll work with you to handle carpet installation. They type of carpet you choose can have an impact on how it’ll perform in your home. Follow the link to learn about the different carpet types and be sure to ask one of our carpet professionals about which would be best for your home. 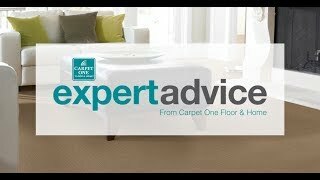 Caring for your carpet is easier than you think! Carpets today feature the best stain resistant qualities, so if you cannot make it to a mess right away, there is no need to worry. Follow the link below to learn a few carpet cleaning tips.